Since 2005, a controversial federal-local partnership program known as 287(g) has let trained deputies act as immigration agents in Los Angeles County jails. County supervisors will vote Tueday on whether to discontinue it. In a 3-2 vote, the Los Angeles County Board of Supervisors voted Tuesday to do away with an immigration enforcement program that allowed sheriff’s deputies to act as immigration officers in the jails. 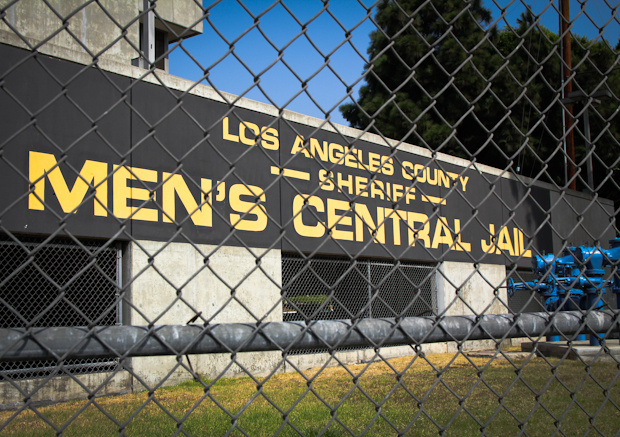 The program, known as 287(g), has been used voluntarily by L.A. County since 2005, allowing deputies trained by the federal government to question inmates in county jails about their immigration status. Last fall, county supervisors voted to renew their contract with the federal government, with support for the program led by former supervisor Gloria Molina. But with Molina no longer on the board, the balance on the board has shifted. Her successor, Hilda Solis, joined fellow new supervisor Sheila Keuhl, and Mark Ridley-Thomas in moving to rescind the contract. Their motion characterized keeping the program as “redundant,” because the fingerprints of people booked by local cops are already run through a Homeland Security database to determine immigration status. Until recently this was done through the controversial federal program Secure Communities, which began in 2008. Secure Communities was discontinued late last year, to be replaced with a new enforcement program called PEP, which stands for Priority Enforcement Program. That also relies on biometric checks. Supporters of 287(g) have argued that the fingerprint checks don't catch every deportable criminal. An aide for Supervisor Michael Antonovich said he would vote against the motion to discontinue the program. “Not everyone who has entered into the country illegally has data in DHS’s system," said Anna Mouradian, justice deputy for Antonovich. "For that reason, Supervisor Antonovich does not see this program as redundant or duplicative." Supporters have pointed to another incentive: Counties like Los Angeles are partially reimbursed by the federal Department of Justice for incarcerating certain foreign-born criminals under a program knows as SCAAP, for State Criminal Alien Assistance Program. The funds that counties receive under that program have been cut in recent years, so the better that counties can document their foreign inmate population, the better their chances of being reimbursed. “It is imperative for the county to recover the money from the federal government, otherwise it forces cuts in other vital services," Mouradian told KPCC last fall, as supervisors were preparing to vote on the 287(g) then. Los Angeles and Orange are the only two California counties still using 287(g). Riverside and San Bernardino counties once used the program but have dropped it. While it was never widely used, at its height, 75 jurisdictions in the country once used 287(g); today, only 34 jurisdictions still use it. Homeland Security scaled the program back in late 2012 in favor of the more cost-effective Secure Communities. Solis said the ultimate goal is to remove U.S. Immigration and Customs Enforcement agents from local jails. But the motion doesn't address that directly. ICE agents have long had a presence in local jails under a different program. Solis said that decision will ultimately rest with the sheriff's department. "The sheriff will decide at what point ICE agents will be allowed to come in to talk to inmates," Solis said.